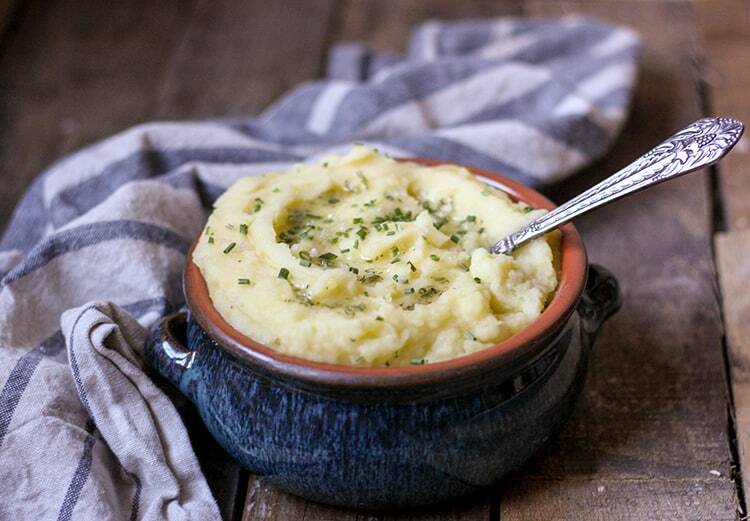 These easy Instant Pot Mashed Potatoes are creamy, dairy free, Paleo and Whole 30 friendly, and can be easily modified for the Autoimmune Protocol (AIP). This recipe is a tasty addition to your Thanksgiving or Christmas dinner menu, yet simple and quick enough to make any week night of the year. Is there anything better than creamy, dairy free mashed potatoes? Well, since you’re asking… how about quick and easy Instant Pot mashed potatoes that are also creamy and dairy free? Most everyone in the world seems to believe Instant Pot to be a modern day ‘set-it-and-forget-it’ kind of kitchen appliance, but I have to admit, I really wasn’t much of a fan. Sure, I liked cooking my spaghetti squash in it, and being able to cook frozen chicken in 20 minutes was convenient, but for the most part, I didn’t find it to be incredibly efficient. Most often once I added in the ‘coming up to pressure’ time and ‘steam release’ time, it didn’t seem to be much quicker or easier. 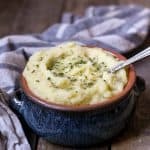 I wasn’t a Instant Pot fan until until I discovered the ability to use it to make the best, the creamiest, the easiest Instant Pot Mashed Potatoes the world has ever tasted. I feel as though I can make a lofty statement like that since my husband demolishes a batch of these and he is a mashed potato freak (that’s where this mashed cauliflower breakfast bowl came from – he even loves putting mashed potatoes on breakfast food)! If this recipe gets his blessing, it would win anyone’s blessing. There are plenty of additional ingredients you can add into these potatoes, but we keep them pretty simple in the Grass Fed Salsa household. If you’re interested in trying a few variations on these, I recommend adding the ranch spice blend I used in this Ranch Mashed Cauliflower recipe! If you’d rather stick to the basics, these are the non-negotiable ingredients, and the ones we typically stick to. Yukon gold potatoes yield the best texture and flavor, but you can also make these with red potatoes or russet potatoes, and you can use Japanese sweet potatoes or jewel yams for an AIP version. I use a whole can of coconut cream. It’s super simple, just open the can, dump the coconut cream into the Instant Pot and mashed with your potatoes. That’s it! This is the brand I use, and the can is not the typical size of a can of coconut milk. It’s just 5.4 ounces, so if the brand you’re using is a larger can, be sure to portion out the correct amount. This would be about 1/2 cup + 2-3 tablespoons. Please note that I have not tried this recipe with coconut milk instead of coconut cream. Everyone has their own personal preference for the amount of sea salt in their recipe. We tend to go a little light on the sea salt, and then provide some at the table for our guests to season to their liking. That’s it! Super simple. Keep reading for the recipe! 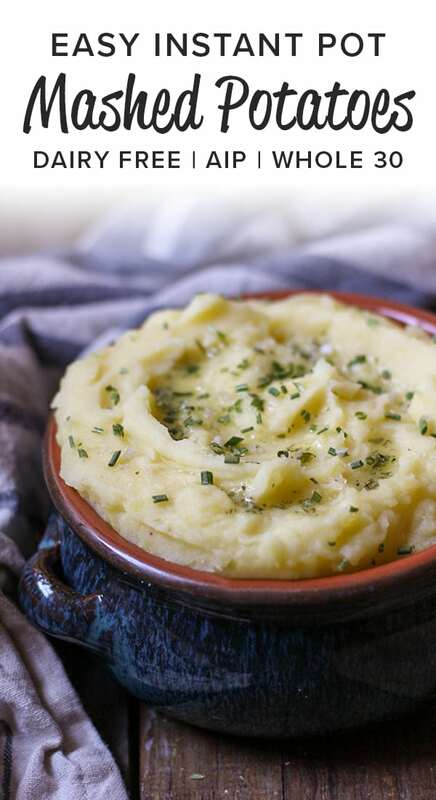 How about Mashed Potatoes with 50% less carbs and calories? 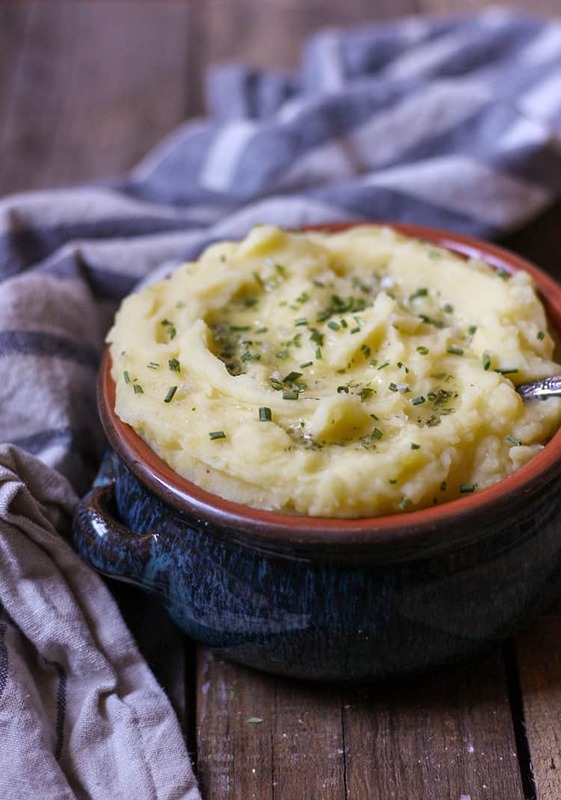 Did you know you can reduce the net carbs in mashed potatoes by nearly half with two simple tricks? Yep, it’s a way to take a favorite side dish from Carb Town to Superfood-ville. All you have to do is boil your potatoes with some coconut oil, and make those ‘taters ahead of time so you can cool them (and reheat) before eating. When you cook potatoes (and white rice for that matter) with coconut oil, the oil convert the starch from glucose to resistant starch. Once the potatoes cool, the glucose decreases by another 10-15%. Not only does this lower the net carb and calories of the dish, but it also turns the food into a pre-biotic, which feeds the good bacteria in your gut. Win win! If you prefer to keep the skin on your potatoes, be sure to scrub them really well. If you prefer skinless mashed potatoes, scrub and peel your potatoes. 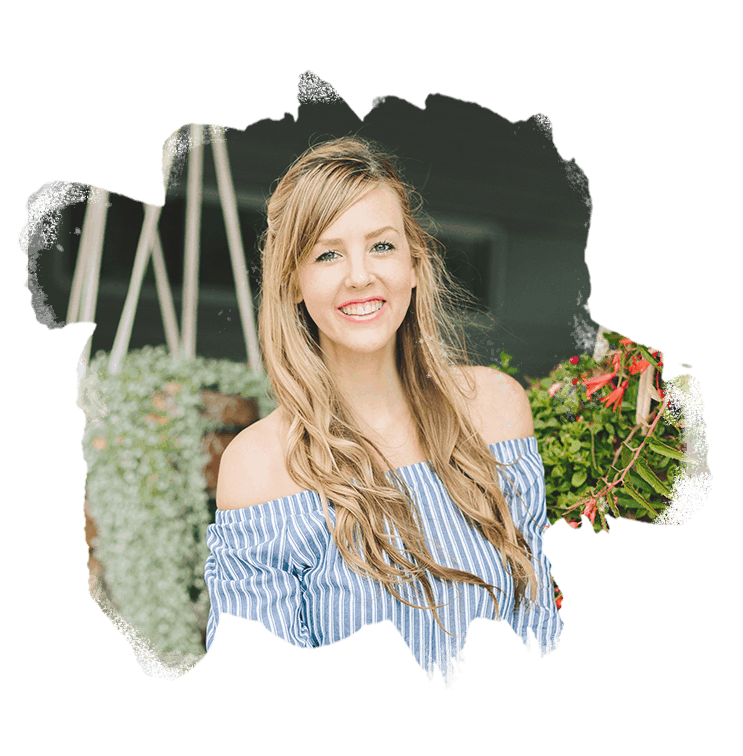 Chop into roughly 1″ chunks and add to your Instant Pot along with your coconut oil. Add water to your Instant Pot. Your potatoes should be almost covered, but not fully. This isn’t necessary to be precise here, it’s okay to have a little more or a little less. Set your Instant Pot to manual, and set it to run for 10 minutes. When your timer is up, hit “cancel” and then do the quick release valve. Open the Instant Pot, and drain the excess water. Do not rinse. Add your coconut cream and sea salt (plus any additional seasonings you’d like). Use a potato masher or a fork to mash, and you’re done! If you don’t have a 5.4 ounce can of coconut cream, you can measure out 1/2 cup with 2-3 tablespoons of coconut cream. If you’d like to use butter instead of coconut cream, use about 1/3 cup of butter with 1/4 cup milk of choice. If you’d like to use ghee instead of coconut cream, use about 1/2 cup of ghee with 2-3 Tbsp milk of choice. All you have to do is boil your potatoes with some coconut oil, and make those mashed potatoes ahead of time so you can cool them (and reheat) before eating. There seems to be nothing the Instant Pot cannot do! Yum! YUM! 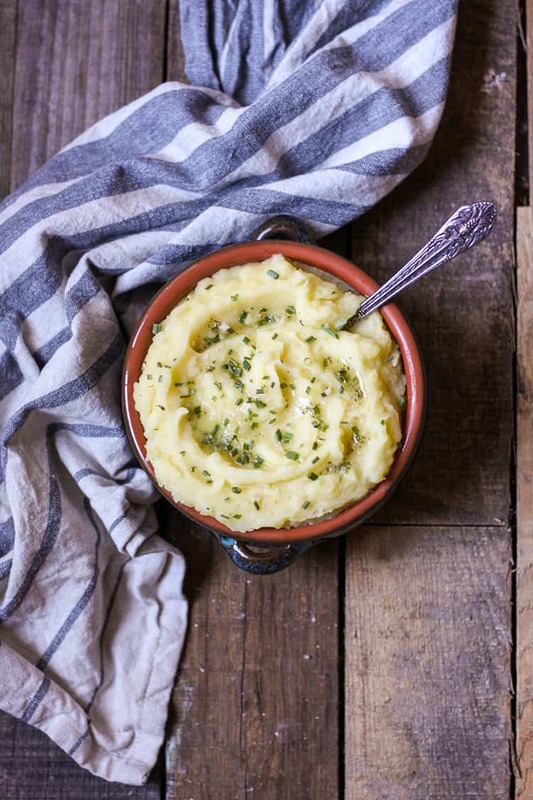 Mashed potatoes are the best and instant pot made it so easy! Cannot wait to try! That’s a fun fact 🙂 is it any oil that does the trick of reduction or any oil? Nope, it needs to be coconut oil for this trick to work. I haven’t made mash potatoes in the IP yet but will be trying it out for Turkey day! Tis the season for creamy mashed taters. YUM! Your version looks so good!! Super easy and super yummy! 🙂 My only complaint probably has nothing to do with the recipe, but when I quick released the valve, it was not only letting out steam but also spewing some water. It got all over the lid, the counter, etc. and made a bigger mess to clean up. Is that normal? I did make 5 lbs. of potatoes instead of just 3 lbs., but I don’t think that would cause all that?